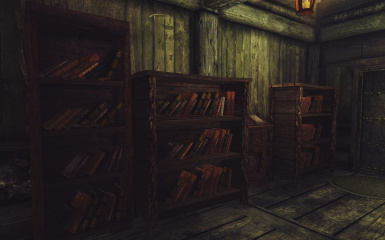 This mod adds a books store in Solitude. You can buy clutter books to grow your home library. Better compatibility with SMIM mod. Some months ago I've declared that I ended to modding Skyrim. Well, I'm still out from modding but and I'm making one more mod related to thief character. so I've decided to publish it for the community. 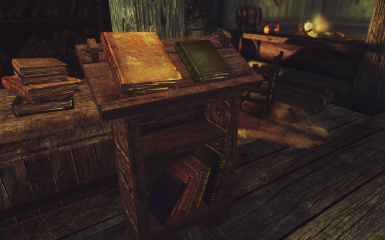 A thing which I'm missing since Oblivion is a book store, so I've added it in Skyrim. 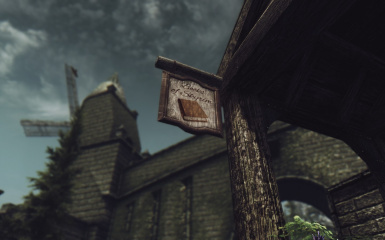 The books store is named as "Books of Skyrim" and you can find it in Solitude near the brick arch. 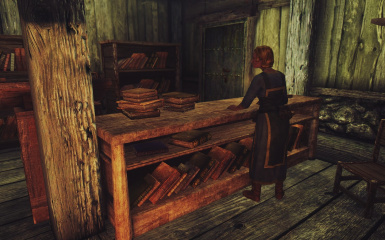 The vendor is Arnora Auria, descendant of Auria family in Cyrodiil. 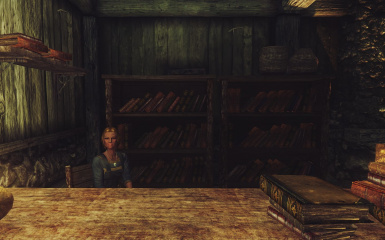 She have the same name as her ancestor murdered 200 years ago by Tyrellius Logellus, a corrupted guard of Bruma. 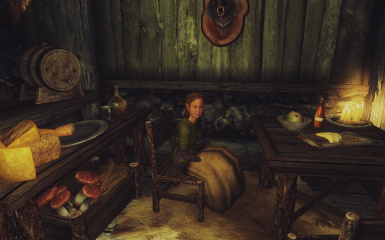 She also have a daughter Leonia which plays with other children in Solitude. Together have their life: sleeping, working, playing, relaxing, etc. As usual, use NMM or manually unpack the archive into DATA folder and then enable it. Should be fine and without any kind of issue. 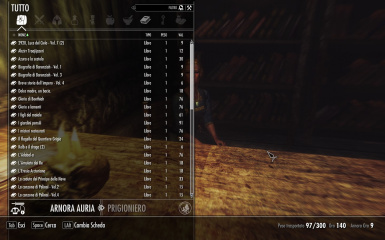 Maybe you can try to uninstall my mod when you are in a vanilla interior. 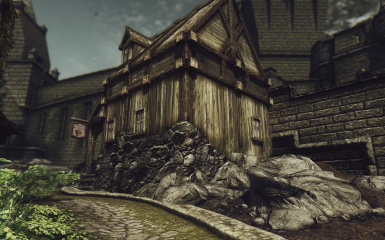 This mod is cleaned up by using TES5Edit. 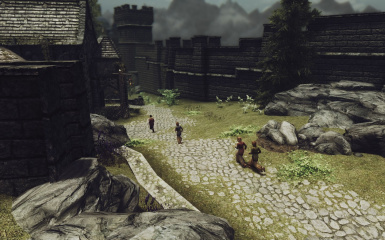 This mod is compatible with vanilla gameplay, including the Siege of Solitude quest, during the Civil War questline. 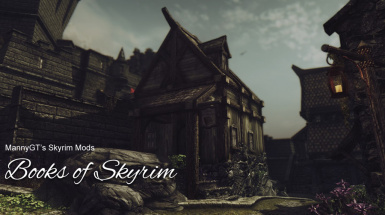 This mod is incompatible with other mods that adds stuff in the same location. This mod is incompatible with Open Cities. Please, report to me if you find any bug. Thank you.